Wanna know your respiratory frequency? Easy: just set the oven timer to 30 seconds, and count every time you inhale. After 30 seconds just double the amount of breaths you took, and if you're lucky you'll get to around 6. And if you're like me, to 14. What happens if your respiratory frequency is high? If your respiratory frequence is high while doing nothing, it can cause you feelings of anxiety, tiredness, headaches, yawning and in some cases heart palpitations. How to fix a high respiratory frequency? That's also easy! 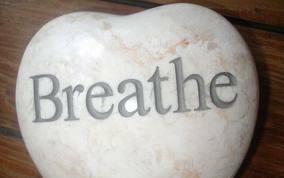 You just have to prolong your exhaling. Do this for six weeks, three times a day and wait for the results. I can't take the credit for this great knowledge, because I read it on the website of Koen de Jong. And I believe everything he says, because he seems real laid back in his video! I wanna be like him! Just click on 'cc' beneath the video to get subtitles! What's your respiratory frequency, while sitting down? 120....only joking, I think that I hit 12 but it is difficult not to control your breathing when you are thinking about it! I also subconsciously hold my breath when I concentrate. That cant be healthy right lol?